St. Petersburg's preeminent orchestral ensemble for contemporary performance, progressive programming, and outstanding emerging talent. 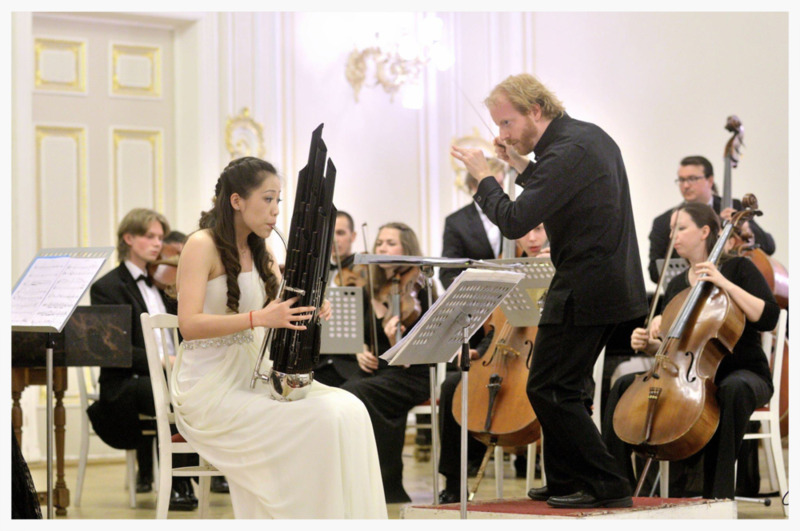 The St. Petersburg Chamber Philharmonic was founded in 2002 to create and encourage cultural exchange between the United States and Russia and has since become one of St. Petersburg’s most exciting and innovative chamber orchestras. Since its inception, the St. PCP has performed in the major concert halls of the city and has been presented in its most important festivals including the International Musical Olympus Festival, International New Music Festival “Sound Ways”, International Festival St. Petersburg “Musical Spring”, 5th Annual Festival “Japanese Spring in St. Petersburg”, and “Avant-garde in our Days” Music Festival. Led by Artistic Director Jeffery Meyer, the St. PCP's 2010 performances at Symphony Space in NYC were called "Impressive," "powerful," "blazing," "polished" by the New York Times. The orchestra’s dynamic performances and progressive programming has distinguished it among the many orchestras of the city.